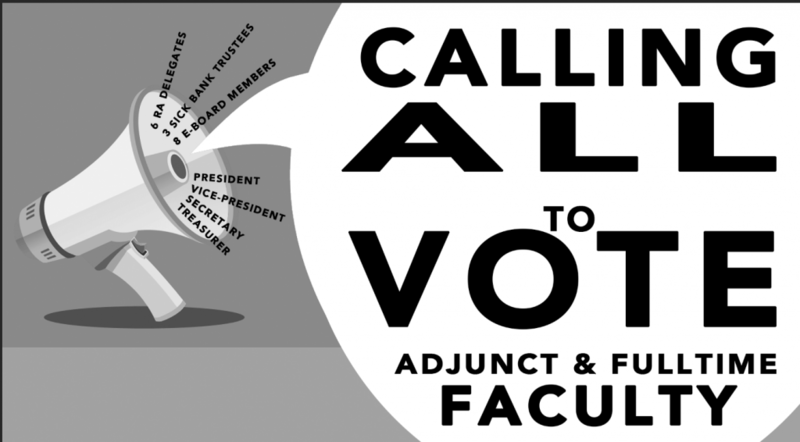 Nominations close at midnight, Wednesday, March 27, for union President, Vice-President, Secretary, Treasurer, eight executive committee positions, six delegates to the NYSUT Representative Assembly (RA), and three sick bank trustees. Any union member, full-time or part-time, may run for office. Nominations should be emailed to Secretary Rowan Lindley at rowan.lindley@sunywcc.edu. There is at least one contested election, and there may be more, so every vote counts. Please Remember: Only WCCFT members may vote. Voting is by secure electronic ballot sent to your college email on Wednesday, April 3. 2) must access the ballot sent to your college email from the WCCFT on April 3.